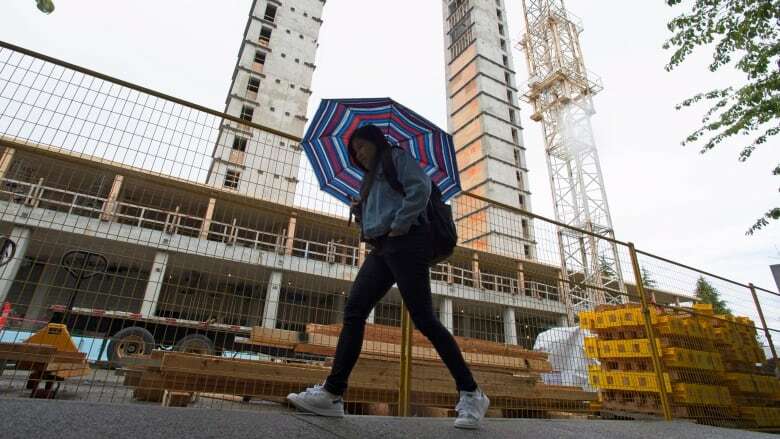 Almost non-existent a decade ago, tall wood buildings have defied skeptics and are sprouting up in cities across Canada. Six years ago architect Michael Green took the stage at a TED conference and called for an global era of wood-framed skyscrapers. Building tall with wood has been made possible thanks to the use of both new and old techniques. Brock Commons used the relatively recent innovation of cross-laminated timber, which involves gluing perpendicular layers of lumber together to create reinforced sheets for the walls and floors. For pillars, it used the much older technique of gluing parallel pieces of lumber together to make thick beams. The Toronto Sidewalk Labs development, still in planning stages, claims it will build the "first-ever mass-timber district in the world" at a proposed 306,580 square metres (3.3 million sq. ft) across 12 buildings ranging from three to 30 storeys. 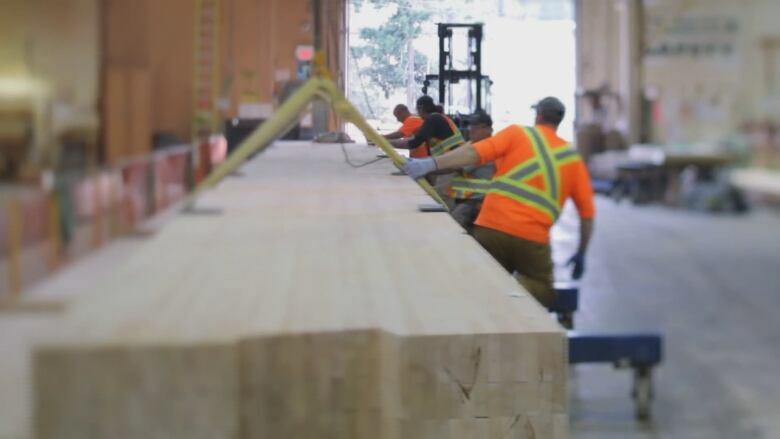 There are also a range of mass timber buildings already complete or underway in major Canadian cities that fall under the six-story standard building code. The thick timber beams act more like logs than kindling, so they resist burning and then char to create an insulating layer before burning at a predictable rate. But as extra precautions, the code updates will require wrapping much of the timber in drywall or cement, which act as both a fire and sound barrier. Those extra measures mean buildings won't look quite like tree forts, with many areas of Brock Commons, for example, not showing any exposed wood at all. Proposed rules could allow somewhere in the range of 10 to 25 per cent wood exposed, said Mohammed. The precautions added about seven per cent to Brock Common's construction costs, but as techniques and knowledge improve it can be quite cost competitive, said Hardy Wentzel, CEO of Structurlam Mass Timber Corp.
"Because it's a new product, we're getting compared every time to what will concrete do, what will traditional wood frame do, what will steel do, and we're able to compete. In the right building, we're very cost competitive." Because many of the walls, pillars and floors are pre-assembled in mass timber it translates to a much faster build with less disruption to the neighbourhood. The light-weight construction, about a fifth the density of concrete, also creates more possibilities on site, said Hardy. "Knowing that you could build 102 stories is an eye-opening thing. And that's why we did that exercise, we wanted to kind of remind people that this is an incredibly strong material that has great capacity."